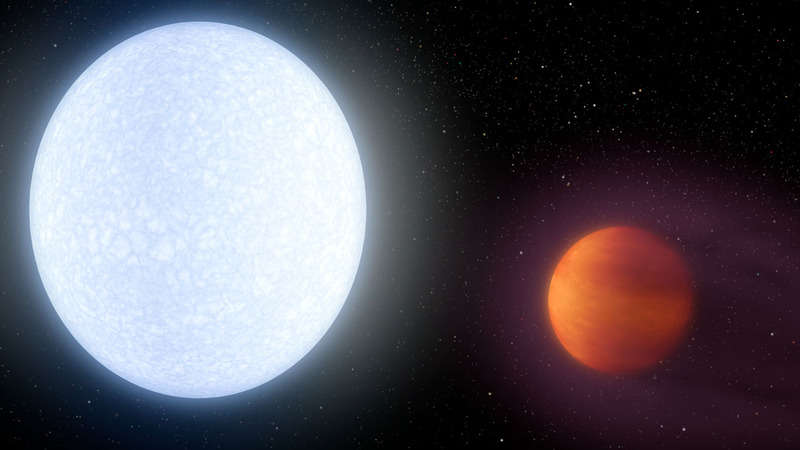 In late May and early June 2016, astronomers using the KELT-North telescope at Winer Observatory in Arizona noticed a tiny drop in the star’s brightness—only about half of one percent— that indicated that a planet may have passed in front of the star. The brightness dipped once every 1.5 days, which means the planet completes a “yearly” circuit around its star every 1.5 days. It’s a low-cost means of planet hunting, using mostly off-the-shelf technology: whereas a traditional astronomical telescope costs millions of dollars to build, the hardware for a KELT telescope runs less than $75,000. “This discovery is a testament to the discovery power of small telescopes, and the ability of citizen scientists to directly contribute to cutting-edge scientific research,” said Joshua Pepper, astronomer and assistant professor of physics at Lehigh University, who built the two KELT telescopes. Key observations used to confirm the existence of the planet were led by George Zhou from the Harvard-Smithsonian Center for Astrophysics in Cambridge, Mass, and Thomas Beatty from Penn State University. They used the Tillinghast Reflector Echelle Spectrograph at the Fred Lawrence Whipple Observatory in Arizona, which is operated by the Smithsonian Astrophysical Observatory.